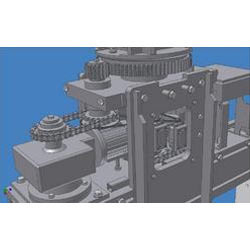 We offer 3D parametric models by storing the relationships between the various elements of the design and treating these relationships like mathematical equations. It allows any element of the model to be changed and automatically regenerates the model in much the same way that a spreadsheet automatically recalculates any numerical changes. The same technology also allows curved surfaces to be rationalized into flat panels, demystifying the structure and building components of highly complex geometric forms, allowing them to be built economically and efficiently. Plans, sections, elevations, finish and door schedules are all generated as views of the model and automatically updated with every change.